Matt’s a veteran guide with over 11 years in the industry. He grew up fishing the tailwaters of Arkansas which eventually let him to spend 10 years living in Heber Springs guiding on the Little Red River, the White and the Norfork. He caught his first trout on a fly rod in dry run creek as a kid, by third grade he was enough with a rod to catch fish on the bigger rivers. Matt also guided Several seasons for one of the premier lodges in Alaska. 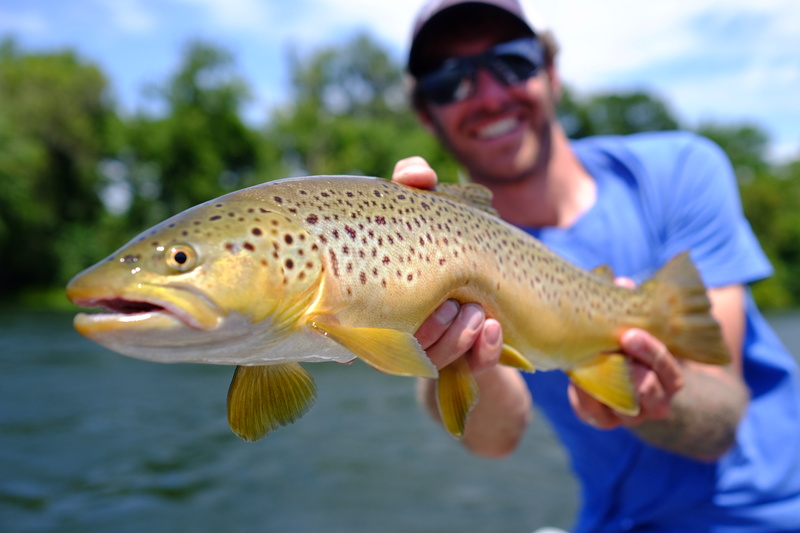 He left Arkansas to work as a partner for a guide service in Yampa, Colorado. Matt guided on the Yampa, the Colorado, The Eagle and The Roaring Fork as well as the Flat Tops Wilderness. His diverse background gives him plenty of tricks to keep your rod bent wether your throwing dries, streamers or nymphing. Matt keeps a jet boat and a drifter in his fleet to give you the experience you're after on your fishing trip. Whatever your looking for in your guided trip Matt is ready to help you achieve those goals.